The commonest disorder we see is FMCP. The above conditions may be present on their own or in combination. Why do dogs develop ED and what is it significance? 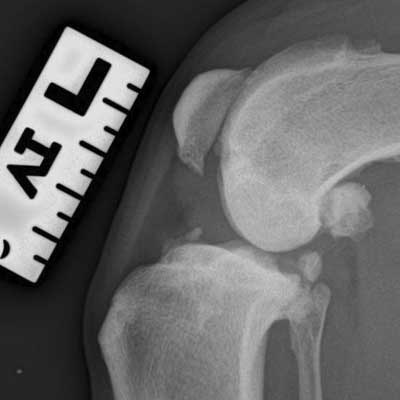 It is not fully understood why dogs develop elbow dysplasia. Genetics do play an important role and selective breeding can reduce the incidence of the problem (see later). 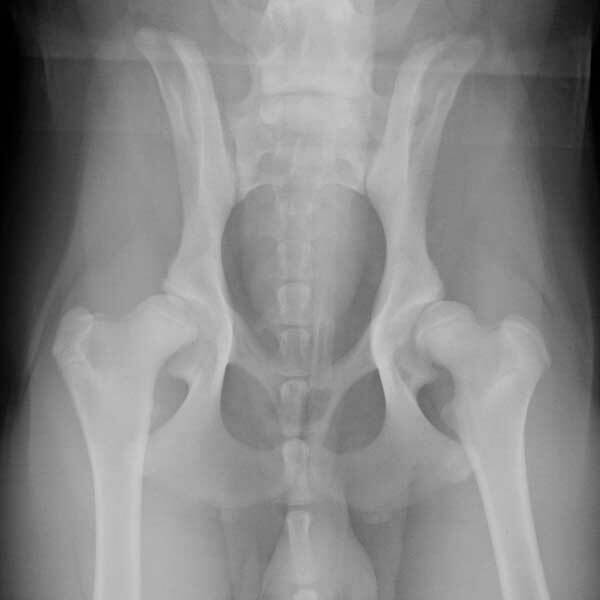 If a dog has elbow dysplasia it is very likely to develop osteoarthritis and this can progress over the dog’s lifetime and result in persistent and sometimes crippling lameness. How do I know if my dog has elbow dysplasia? Dogs with ED will show a front leg lameness that may affect one or both front legs. This lameness may appear when the dog is a juvenile (under 1 year of age) or may not become obvious until it is an adult. Apart from lameness dogs may show reluctance to exercise, stiffness on rising, difficulty with some activities eg using stairs etc. What investigations are undertaken if there is a suspicion that my dog has elbow dysplasia? 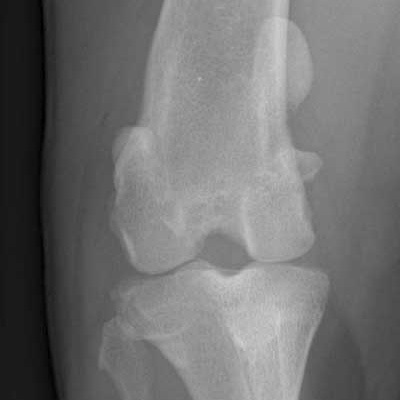 The first step is normally to obtain Xrays of the elbow joints. We will normally Xray both elbow joints because the problems often affect both joints even when the problem may only appear to affect one. Some elbow problems are straightforward to diagnose from Xrays eg OCD and UAP but FMCP can be much harder or impossible to confirm. Sometimes we will not recommend Xrays but suggest CT (computed tomography) scanning and/or arthroscopy because this is a better way of identifying FMCP compared to Xrays. If lameness is of short duration (less than 4-6 weeks) and mild we will often manage young dogs conservatively for a period of time with restricted activity and drugs (pain-killer, joint supplements etc). We will also often recommend hydrotherapy. Over time discomfort can settle and lameness may resolve. It is very important to remember that there is no evidence that surgery will alter the development or progression of osteoarthritis in the joint. If lameness does not improve or resolve we will normally suggest surgery. It should be remembered that surgery is performed only to alleviate pain. Removal of a FCMP in a young dog will usually result in lameness improving but not in every case. In older dogs the outcome following surgery to remove FMCP is much more variable and may not result in the lameness improving. 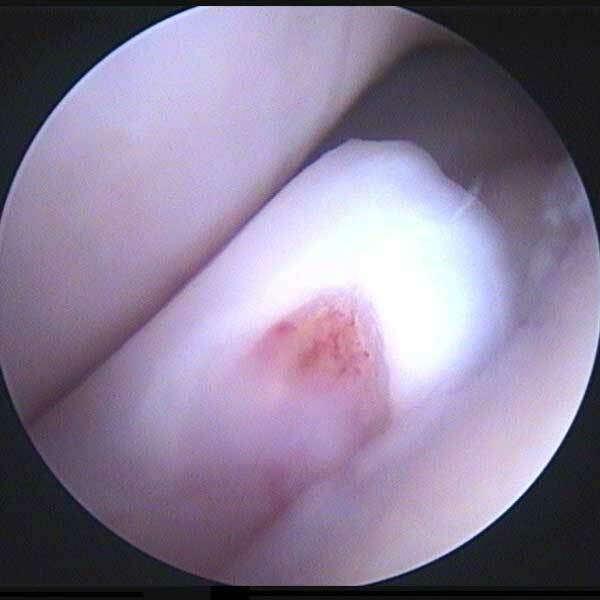 Surgery to remove FMCPs can be done by a key-hole approach (arthroscopy) or by open surgery (mini-arthrotomy). In some dogs we will perform additional procedures that may be of benefit (eg proximal ulnar osteotomy) but we will discuss the pros and cons of these with you during the consultation. OCD is a condition where a flap of cartilage develops on the medial humeral condyle. It is often present with FMCP and the combination usually results in more severe lameness and a poorer prognosis compared to FMCP alone. Treatment involves removal of the flap (usually by arthroscopy). Treatment choice for UAP will depend on the age of the dog and other factors. Many dogs with UAP will become lame at 4-8 months old and the normal treatment of choice is to stabilize the process with a screw and to cut one of the bones (ulna) below the elbow. In some cases the process will require removal. What options are there for older dogs with more severe osteoarthritis? 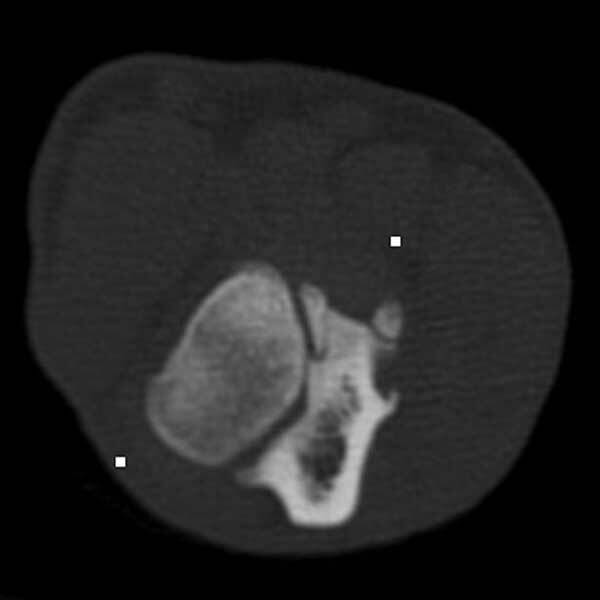 Many older dogs with established osteoarthritis will not benefit significantly from debridement of a fragmented medial coronoid process. In these cases there are surgical options but whether we suggest them will depend on a number of factors, particularly the response (if any) to conventional pain-killers and other approaches eg dietary joint supplements, exercise modification, hydrotherapy etc. The surgical options are proximal ulnar osteotomy, proximal abducting ulnar osteotomy (PAUL procedure), unicompartmental resurfacing (CUE) and elbow replacement. 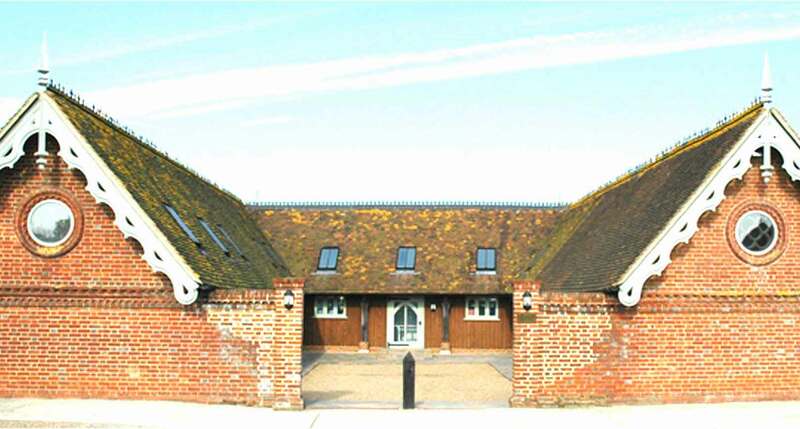 Outcomes following these surgeries can be very variable and we will discuss their pros and cons with you at the time of consultation.